Visual content is truly QUEEN in today’s current social media space, and for good reason. Instagram very well could be, ok it is, the social media platform where you MUST HAVE STRONG PHOTOS. Instagram is simple, clean, fun to use and can have major benefits! Keep reading to learn How to Drive Traffic to Your Blog with INSTAGRAM. Besides the fact that Instagram is a compelling way to tell a visual story of your brand, remember that it is a window into your website. First impressions are everything. One way to immediately gain followers on Instagram is to have a profile where all of the images have a cohesive look or theme. I prefer white backgrounds with pops of color. The first step to take in creating cohesive brand photos is to stick with the same photo shape, filter usage, color scheme, and overall vibe. Obviously this “look” should match your blog’s vibe. A couple of accounts that are killing it?? 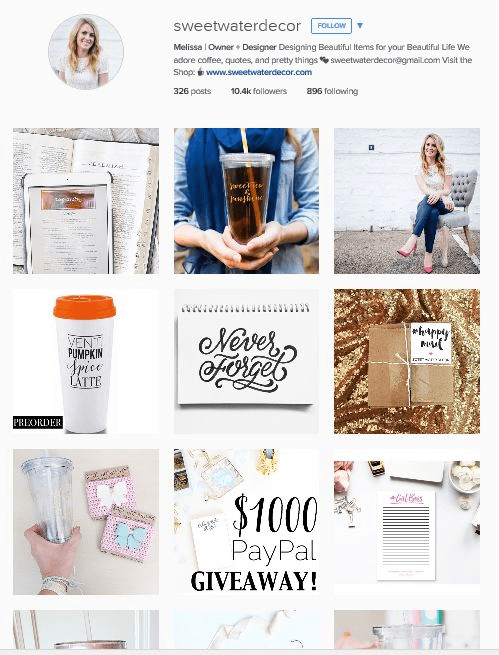 Bloguettes are another Instagram account that has perfected a consistent branded vibe. See the cohesiveness in their photos? It isn’t called social media for nothing! One of the most effective ways to build your Instagram community is to be social and engage with others. We all want comments and likes on photos, so why not get out there and network with other bloggers? They will return the favor. Search for popular hashtags that are similar to your brand and get to liking! Seriously, just scroll through and heart everything and if you really like something comment on it. You will quickly see them return the favor and ultimately look through your feed and find your blog! This works like a charm y’all…so what are you waiting for? Get social on Instagram! Hashtags are the most effective way of searching for images on Instagram, and it’s a great way to get your photos and ultimately your blog noticed. I usually add at least 10 hashtags to each photo. I prefer to leave the hashtags in the separate first comment under the description so that way the photo doesn’t have a really long caption and it won’t clog up peoples’ feeds. 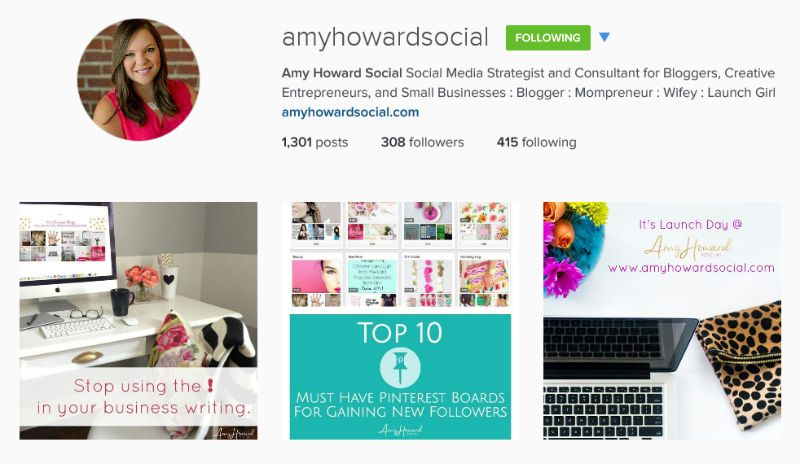 There are resources on my Instagram Pinterest board that you can refer to for trending hashtags! 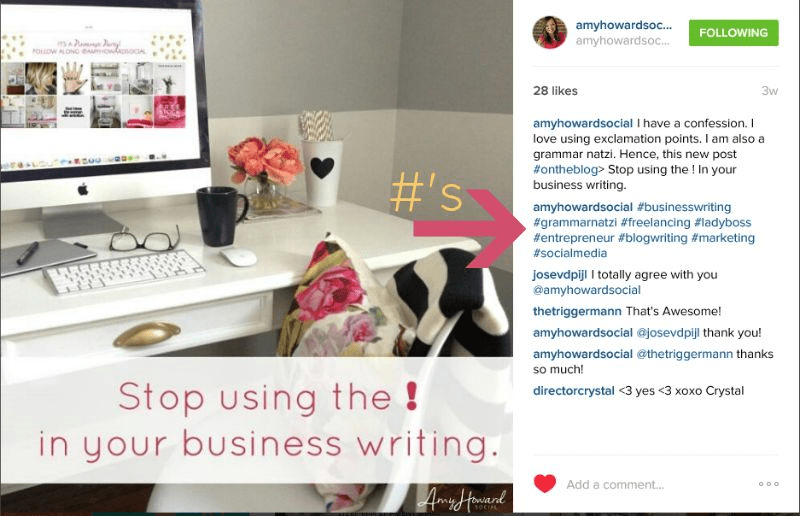 On the day that your blog post goes live, post it on Instagram; use appropriate hashtags. #newontheblog #bloglife #bloglove etc… Even if you don’t have a new blog post for the day, post! As long as your photos are branded, relative to your niche and audience your followers will like it. Your Instagram account is a reflection of you and your brand. Please remember that when you post to the fabulous world of Instagram! Please make sure that you make it easy for your audience to find you on Instgram. 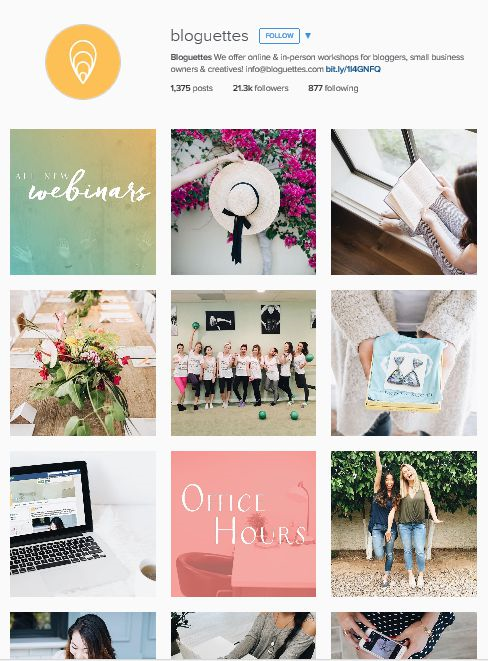 Have your Instagram social media icon easy to find on your blog and you should add an Instagram widget to your sidebar. Make things as easy for your blogosphere friends! Instagram those blog posts ladies! Please let me know if you have any Instagram tips for bloggers that you would like to share with us…we are ALL ears! Oh, and are we following each other on Instagram? Find me and @amyhowardsocial! Nice post. Love these tips. The things is to not OVERpost, you know, i personally tend to unfollow those who post more than 3 times a day. Actually even 3 is too much. It is very hard to find the perfect amount, statistical tools like iconosquare.com can help a lot with this. And about socializing, it surely is the main point of the social media, but don’t you hate when people just won’t react? i had to spend about 2 hours per day liking and commenting, and it turned out be a waste of time, so now, a couple days after i followed someone i check if they followed me back and if not i send them in the trashcan with fast-unfollow.com. It’s not a teenagers’ mutual dislike, it’s just business, and i can spend this time i saved on creation of new content. Great tips! I am still new to instagram and still figuring out how to post blog images to it from the desktop? Is that even possible? Or we can only do it from our phones? Lol I sound stupid, don’t I? You do NOT sound silly, no question is a dumb question! As of now, we can only post to Instagram via our phones. Just download the Instagram App, create your profile, check out my Instagram tips, and start posting! Great post! I struggle with the theme aspect and trying to post regularly but I am all about the hashtags!